Great news at GTKT!! 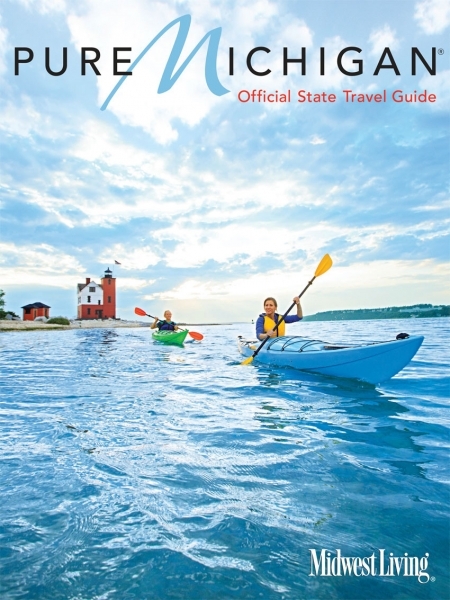 Our photo was chosen for the front cover of the Official 2014 Pure Michigan Travel Guide. Huge thanks goes to GTKT tour guide, Eric Obscherning, model, Maggie Chambers, Executive Director of the Mackinac Island Tourism Bureau, Mary McGuire, and photographers Jason Lindsey & Myles Beeson. An evening kayak near Round Island Lighthouse with Great Turtle Kayak Tours. Book your kayak or SUP tour now for your very own Pure Michigan photo shoot!